During last 3 years I spent some of my time trying to learn how to write a roguelike. Roguelikes are cRPG games with no graphical mode, where environment is represented with ASCII characters (for example @ is player character). I discovered my first roguelike - ADOM when I was around 13 and I have always wanted to code one. I decided to write a post about developing a roguelike, because it's a way to summarize some things (and if I won't write it down it will rot on my hard drive for infinity). I started by reading tutorials about writing games. In general it's very hard to find a good tutorial about game writing. Game development, like any other technical activity is about layers of knowledge - you begin with some simple functions that do only one thing, but you organize them into bigger structures that can provide complicated results. Most tutorials contain only the basic steps, but tell you nothing about the upper layers. The best tutorial about game writing I found is Philip Hanna's CSC207. It's a university course, and contains many good examples, as well as the game engine written in Java. The engine is written in a very generic way. It allows you to start your own project, but it's never optimized for it - so sooner or later it forces you to write your own engine - but at that time you already know what you want and how to achieve it. Very good teaching trick Mr Hanna! I started my game using Philip Hanna's engine. At the beginning I really liked writing in Java. It was much faster to write than in C or C++. But after a while I became fed up with it - I had to create getter/setter methods for every variable, and the code was hard to change or read. Later I learned some tricks in the Eclipse IDE which helped a lot - automated refactoring and getter/setter creators. But I still wasn't happy with it. Then I found Python. Python is probably the best language for hobbyists out there - it's fun to use, reasonably fast (at least I think so), and with quite good support. At the beginning Python webpage scared me off because there is some new version of Python 3.0 coming out, and no library works with it. But then I realised that nobody uses it yet, and everything works with Python 2.6 (it's a risky idea to make language backward incompatible). I decided to start with Pygame - a library which is basically a binding to SDL library written in C. I read some basic tutorials, and started to port my earlier Java code to Python - mostly that meant holding DEL button for a long, long time. Python code is much shorter and easier to read than Java code (however some things are longer - like always including "self" as the first argument to a class method). Python allows for both object-oriented and procedure-oriented programming, but my code is rather oo-way. The object of the Game class is created in the if statement at the end of the file. After that the main_loop method is called. At first it calls game_init method and initializes Pygame objects: display and clock. It also creates input object which is a wrapping over Pygame's event module, and map object which contains the rest of the game. Then it loops infinitely through three methods: game_input, game_update and game_render. Such design separates game logic (game_update) from gathering player input and displaying the game on the screen. So much writing and code still does nothing, but that's the beauty of the OOP - you don't need to know what's inside the object (the implementation) to write a proper code. Breakout boards can be programmed and tested without any additional hardware, so they can be used as a very primitive WSN nodes. I didn't include any sensors and actuators on them - even LEDs or microswitches - so using them in such way would be really painful. However for a single module I can use AVR Dragon for fake I/O so it should be possible to run some software tests without designing and building target boards. In the meantime I've also been thinking about some name for my devices. In my opinion name is a very important thing - human brain needs names to process data, and a bad name might be harmful to entire project. I'm not a native English speaker so inventing a good name is not so easy. At first I thought about "smartlets" - like smart droplets :). However it has already been taken up by Apple - from a totally different angle - smart outlets. I need to think a bit more. A couple of years ago, first news about Wireless Sensor Networks started to appear on the Web. At the beginning there were scattered pieces of information, but slowly it became a recognizable and popular research direction. I really like the idea of wireless sensor networks - tiny, simple devices called "motes" with limited sensing abilities, and processing power are used to collect data about physical and social phenomenons. Single mote has very little usefulness, but a network of them can support really innovative projects. It really sparks up imagination. The most popular standard in the WSN area nowadays is the Zigbee. It is supported by Zigbee Alliance - association of many international companies (among them Cisco, Atmel, TI and many other). However there are many other standards around - both open and proprietary. I recently became interested in 6LoWPAN - it's a collection of standards maintained by IETF - an international non-profit organization, that also maintains IP, and other Internet-related standards. 6LoWPAN makes it possible to use IP (only v6) on low-power radio links used in WSN. 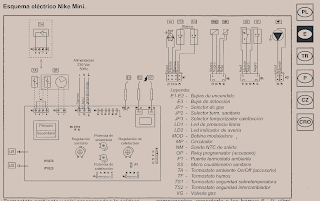 After doing some research I determined that probably the easiest way to start doing some 6LoWPAN research is to use Contiki OS - operating system for embedded devices from SICS. Contiki already supports many 6LoWPAN concepts and many other are being actively developed. Contiki is available for many different platforms, but I think that MSP430-based devices are best supported. Contiki is equipped with java-based network simulator Cooja - so it's possible to start doing research without actually having any motes. I am getting ready to test that approach - I already installed Ubuntu Linux, and I hope to start some tests soon. I made some rookie mistakes with the design - I got the description printed over the pads, but in general it looks just like I wanted :) . Now I'll have to come up with an idea how to solder it right. Any suggestions? 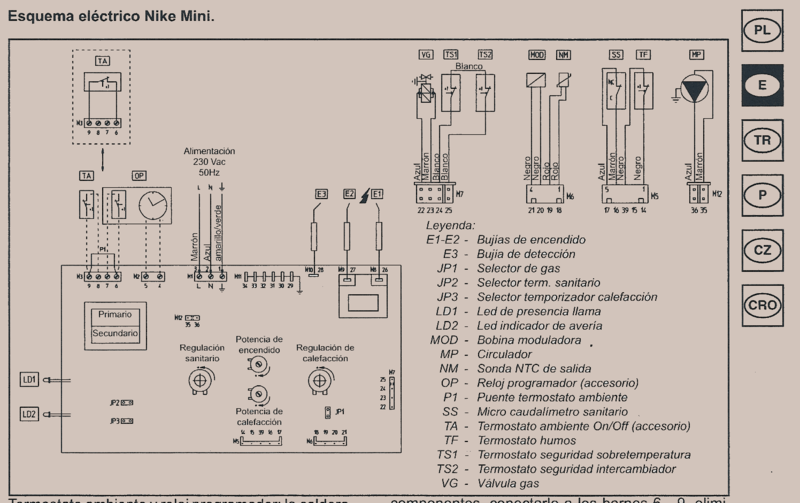 With electronic schematic ready I created a PCB from it. 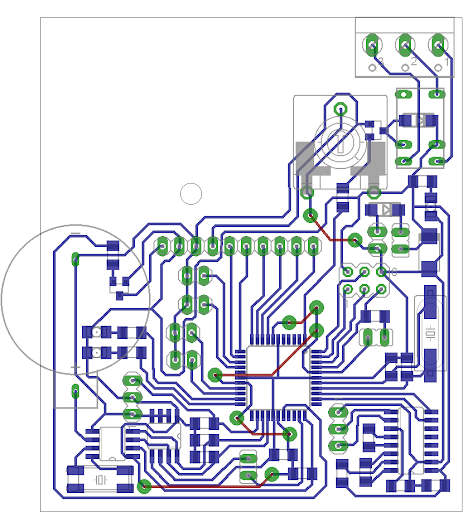 The process was rather straightforward - Eagle created the PCB project automatically ("Board" button). Then I had to set my PCB size, and place all the elements on the board. I also had to use "Mirror" command on every SMD component to transfer them to the bottom side of the board - so that all the connections are on one side of the board (blue color is default for connections on the bottom). 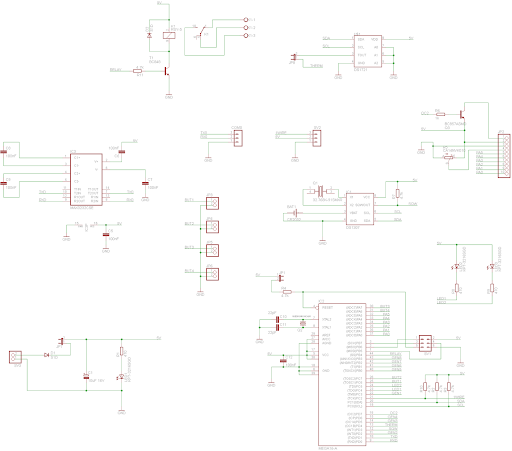 I decided not to use autorouter, so routing was a rather lengthy process - like a huge jigsaw. At first I wanted to conform to placement and routing rules in Atmel AVR042 Note (place decoupling capacitor as close to μC as possible, etc.) and in DS1307 RTC datasheet (do not route any wires under DS1307 RTC circuit). But eventually I gave up on these precautions - I wasn't sure if they really matter with home-made PCBs. Also I lacked some Eagle skills to implement them properly (for example how to create ground planes). I'll try to learn these things next time. One more thing to check when developing non-professional PCB is route spacing, and element pad size. Narrow routes placed near to each other may cause problems with etching. Small element pads are more prone to damage from drilling. I know no easy way to change size of pads in Eagle - probably the only way is to modify the symbol of the element. The result is below - as you can see I already took into consideration dimensions of casing that I am going to use - that's why there is a hole in the middle.